Preparation for the inclusion of Commitment Agreements as a Verification Method for office buildings into the National Construction Code 2019. The 2019 review's terms of reference outline the purpose and scope of the review. Commercial Building Disclosure (CBD) is a national program which requires sellers and lessors of large commercial office spaces to provide energy efficiency information to prospective buyers and tenants. The Smart Planning team have now uploaded all 2000 incorporated documents, across 84 planning schemes, to the Planning Portal. All related planning scheme documents can now be found in the one place – making life that little bit easier for users (24 January 2019). Casey C221Pt1 incorporates the Cardinia Creek South Precinct Structure Plan, March 2018. Casey C228 incorporates the Minta Farm Precinct Structure Plan, September 2018. GC55 incorporates the Beveridge Central Precinct Structure Plan, May 2018. GC116 introduces a new overlay, Clause 45.11 Infrastructure Contributions Overlay (ICO) and inserts ICO schedules into the Hume, Casey and Mitchell Planning Schemes to apply to a number of Precinct Structure Plan areas. Hume C207 implements the Sunbury South Precinct Structure Plan, June 2018. Hume C208 implements the Lancefield Road Precinct Structure Plan, June 2018. The NSW Department of Planning is inviting the community to have its say on the Environmental Impact Statement (EIS) for the Tahmoor South Coal Project, on exhibition for public comment until 5 March. Following the public hearing, the IPC will publish an interim report on matters that the Department will need to consider during its assessment of the project. For more information view the major projects website (23 January 2019). The deadline for submissions on the terms of reference for a review of private native forestry has been extended until 15 February 2019. The NSW Government review seeks to balance sustainable development of the private native timber and agricultural industries with the environmental value of native forestry. For more information and to make a submission visit the NSW Local Land Services website. 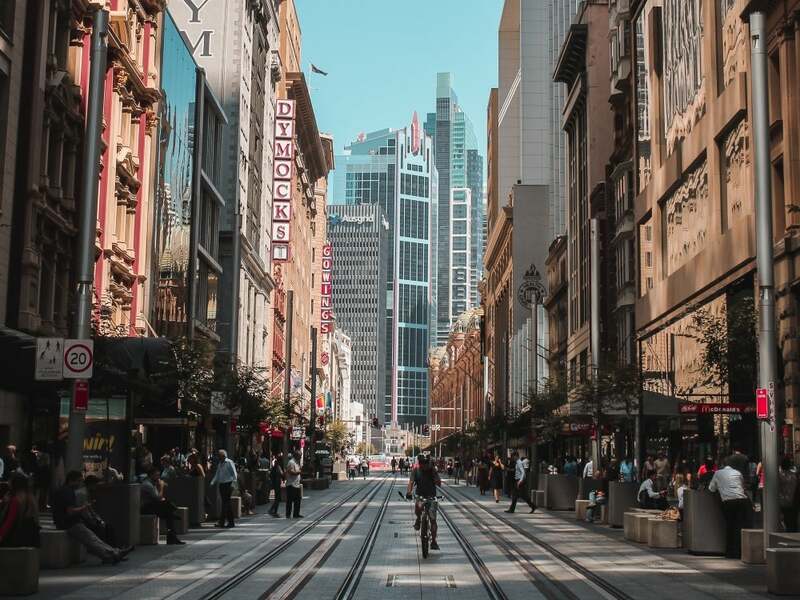 Brisbane City Council has released 'A City for Everyone: Draft Inclusive Brisbane Plan 2019-2029’ for public consultation. The draft plan proposes 67 possible actions under five themes: connect, work, live, enjoy and engage. An online survey can be completed here, and will close on 15 February 2019. To find out more visit Council’s website. Sections 82 and 80 of the Planning and Environment Act 1987 reviews - Greater Geelong Planning Scheme - Industrial 1 Zone abutting General Residential Zone - retrospective application to allow for change of use from warehouse to manufacturing - history of application - amenity impact on multiple adjoining dwellings. Green wedge zone - retention of original house albeit decommissioned - lack of strategic support - extent of built form - bushfire risk - vegetation removal - impact on National Trust significant landscape. Section 77 of the Planning and Environment Act 1987 - clause 56 of schedule 1 of the Victorian Civil and Administrative Tribunal Act 1998 - Statement of grounds filed by a person not intending to participate in a hearing - consent order request by parties to the proceeding to determine the application by the grant of a permit subject to conditions and to vacate the hearing - whether a person who pays a fee after the closing date for filing the statement of grounds and upon becoming aware of the consent order request must be given an opportunity to make a submission at a hearing. Section 77 Planning and Environment Act 1987 – clause 32.08 - General Residential Zone – particular provisions – clause 52.22 - community care accommodation – characterisation of use - appropriateness of location – safety – amenity impacts. DEVELOPMENT APPLICATION – Impacts on heritage item - insufficient information to assess heritage impacts including of acoustic barriers and outdoor play area structures - site suitability for scale of development proposed - car parking, access and traffic impacts - landscaping - neighbour objections. DEVELOPMENT APPLICATION – Alterations to an existing residential flat building – construction of four additional units at the rear – whether provision of no onsite parking is acceptable in circumstances of high public transport provision – precedent. DEVELOPMENT APPLICATION – Proposal to create dual occupancy – affordable rental housing – whether inconsistency between provisions of Ryde Local Environmental Plan and State Environmental Planning Policy (Affordable Rental Housing) 2009 – compatibility with character of the local area. SENTENCE – Contempt of court – failure to comply with terms of consent orders to remove scrap materials from premises – plea of guilty – whether contempt wilful or contumacious – in circumstances of intentional and ongoing offending, disregard of Council, amenity impacts and health risk of offence, and contemnor’s deceptive behaviour to Court and counsel, contempt characterised as contumacious – custodial sentence appropriate but for the contemnor’s age and infirmity- ability to pay fine – fine imposed – additional monthly penalty until contempt purged – costs on an indemnity basis. APPEAL – Question of law – denial of procedural fairness – whether a hearing was conducted - dispute between two neighbours in relation to the dividing fence between their respective properties. PLANNING AND ENVIRONMENT – APPEAL – Where corespondents contend owner of subject land did not consent to the making of the development application – where corespondents contend development application was not a properly made application for the purposes of s 261 of the Sustainable Planning Act 2009. 17/01/2019 - Act No. 175 of 200 - An Act to provide for the reporting and dissemination of information related to greenhouse gas emissions, greenhouse gas projects, energy production and energy consumption, and for other purposes.